On 13 August 1961, the Berlin Wall was built. It stood for 10,316 days, until it was torn down on 9 November 1989. As of 6 February 2018, the Wall had been down for 10,316 days – the exact same period of time for which it stood, so divisively separating people, countries and ideologies, both concretely and metaphorically. The story of Berlin is the story of the 20th century. A city that was the epicentre of not only one of the most venomous fascist uprisings in human history, but also the symbolic political division of West versus East; America versus the Soviet Union; capitalism versus communism. It has overseen such a rapid change in its socio-economic landscape, from the Weimar Republic in the 1920s, where post-war hyperinflation meant bank notes become so worthless they were burnt in an effort to keep warm, to the relatively prosperous rise of Nazism, to the schism of wealth inflicted by the wall. Berlin is in a constant identity crisis, caved and hollowed, continuously patched up from the rubble, divided and re-moulded under a consistently changing establishment. After the Second World War, Berlin was divided into four parts, shared between the British, Americans, French and Soviets. 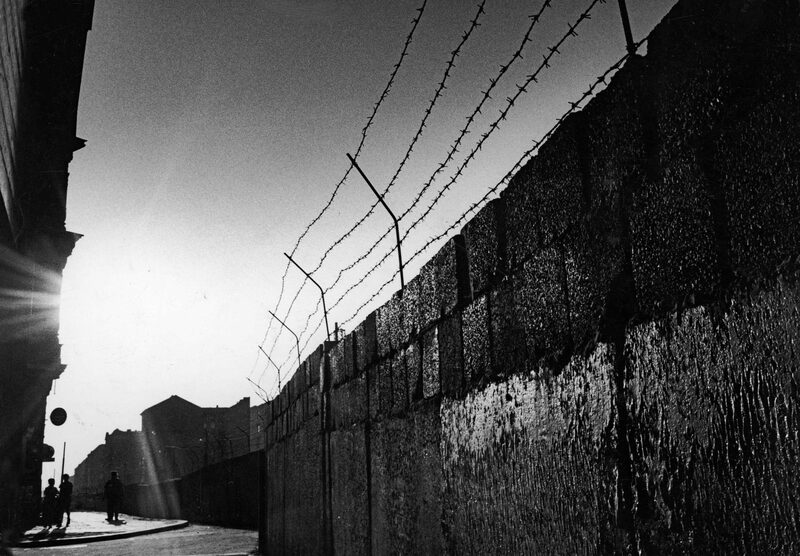 The Wall was built by the German Democratic Republic, the Soviet puppet East German government, to stem the flow of people fleeing to the Western-ruled sectors from the Soviet bloc, and there started over a quarter of a century of forced identification for Berliners. A divided city: either you were a West Berliner or an East Berliner. The political history of Berlin has shaped the football culture of its people, too. It’s ruptured and split, as evidenced in the vastly differing Hertha Berlin, from the west, and Union Berlin, from the east. For a capital city of its size in Europe – about three and a half million inhabitants – Berlin is remarkably unsuccessful when it comes to football. Hertha are its most successful team, with their last national title coming in 1931, 32 years before the foundation of the modern-day Bundesliga. During the Second World War, Die Alte Dame (The Old Lady) was the club endorsed by the Nazi party. Its stadium, the magnificent 74,000-seater Olympiastadion, was built by Hitler’s chief architect, Albert Speer, in 1936, and the club’s president in the pre-war era was Hans Pfeifer, a member of the Nazi party installed by Hitler to maintain party ideology. They remain Berlin’s best-supported club, with an average attendance of around 50,000, and while their stadium is currently situated in the prosperous district of Charlottenburg – the traditional home of opulent Prussian leaders – Hertha were always regarded as Berlin’s club, with a widespread fan base across the city. Helmut Klopfeisch is the club’s most famous fan. 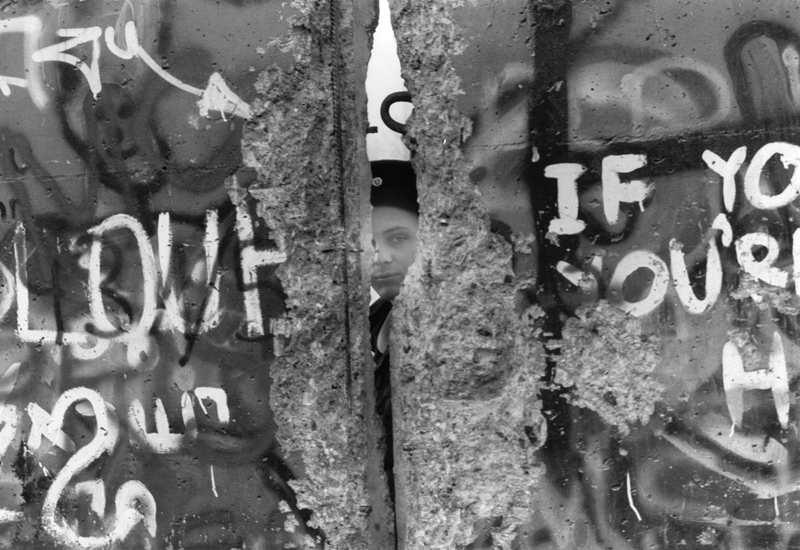 He was one of thousands of Hertha fans from East Berlin, trapped on the wrong side of the Iron Curtain when the Wall came up, unable to see his team play again. Klopfeisch would do anything to find out the scores, in the early days crouching near the Wall when the match was on to try and hear the crowd, and then later joining secret Hertha fan clubs in East Berlin, meeting furtively in bars and cafes to follow their team. Two days after the Wall fell, 15,000 East Berliners flocked to watch their team play for the first time in 30 years, in a stadium a mere eight miles from that concrete chasm which refused them the right. In Berlin, politics is inextricably linked to football; it has the power to sentence people to half their life without seeing their team, to deny devotion and to restrict loyalty. On the other side of the wall are Union Berlin. Based in the middle of a forest in Köpenick, they were founded under their current name in 1966 as a worker’s club, are affectionately known as Eisern Union – ‘Iron Union’ – and their original kit was inspired by the uniform of local iron workers. Their fans and their worker’s ethic are what defines them as a club. Indeed, in 2008, when Union’s Stadion An der Alten Försterei was in dire need of repair, and the club was financially unable to afford it, 1,600 Union fans put together 140,000 accumulative hours of labour and renovated the stadium by hand, fixing terraces and staircases, adding a roof, and saving the club around €2m in repair work to allow them promotion and the current stability they now enjoy. Nowadays, Union are regarded as the alternative team in Berlin, with a unique fan culture tailored to the purist. They have always been regarded as the anti-establishment team, a place for people to revolt against their ruling power on the east side of the Wall, to sing songs dreaming of their unified city and to unite in their radical anti-Stasi stance. They were the poster boy for civilian dissent. The Stasi – the ruling communist party’s network of police, informants and spies – kept notoriously detailed files on every citizen, documenting hobbies and habits, recording every movement and murmuring. They would often send infiltrators into Union’s fan clubs to try and sniff out any sign of rebellion or opposition to the regime – another sign of the completely restrictive life led by those shackled few in the East. On 27 January 1990, just 79 days after the wall fell, Hertha played Union for the first time. It was only a friendly, at the Olympiastadion, but there was no hatred, no violence, no cross-town abuse. Instead, fans congregated communally, symbolically paying their entrance fees in different currencies, singing songs of a reunified city. This was the start of a divided city uniting. Hertha won 2-1 that day, and the teams didn’t face each other again until September 2010, the first competitive meeting between the two sides. 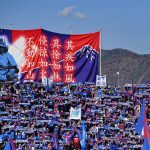 It’s clear how unique this derby is; here are two clubs who for over half a century have shared a city but not a country, in a divided capital far too often polarised by political ideology and ravaged by contrasting belief systems. Hertha and Union have only met competitively four times in 52 years of existence, the product of a cross-town rivalry divided by discordant political ideals, and years of a city torn apart by vicious swings on the political spectrum. While Hertha and Union is still considered the main Berlin derby, during the period when the wall was up, the fiercest rivalry in Berlin was between Union and Dynamo, now known as Berliner FC Dynamo. Dynamo were the Stasi’s team, the team of East Berlin and the team of the party – and their biggest fan was chief of police Erich Mielke, a man with almost total power in the East. 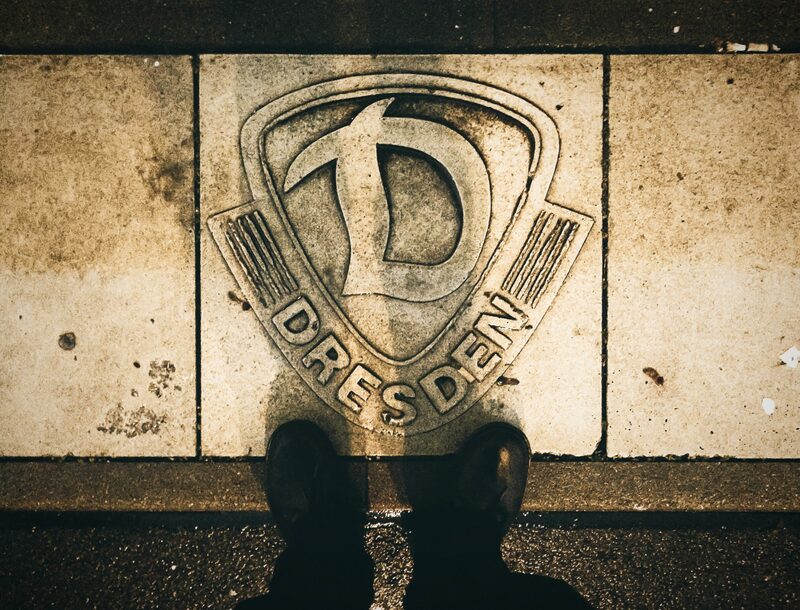 During the 1970s, the best team in East Germany was Dynamo Dresden, who had won five Oberliga titles, so Mielke forced their players to move to the capital and turned BFC Dynamo into an overnight success. They went on to win 10successive Oberliga titles. Whether or not clubs or players agreed, Mielke had the power to bring the best players in East Germany to Berlin. Mielke’s influence also led to BFC’s strong reputation for corruption; referees were paid off and games were often won with a 95th-minute penalty. Opposition fans would often leave 10 minutes before the end in an attempt to escape the inevitable. Union fans despised the communist regime and the Stasi infiltrators, so clinically observant and virile in their society. Their anti-establishment ethic stems from their vicious hatred of BFC and everything they stood for, a retaliation against the establishment that locked them away from the West. Not only were BFC successful, but their ideology was what had divided their city, and the football team was the regime incarnate. This rivalry was based entirely on political division, an example of how the veiny arm of politics in Berlin snakes its way so clinically into football. 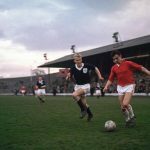 Dynamo now play in the regionalised fourth tier of German football, and their successful history lies long in the past with the regime that funded it. As with everything in Berlin, the football culture is rapidly changing. Hertha and Union are the two big teams nowadays, but the space behind them is consistently shifting. The number of teams founded by ethnic minorities is exceptional; there are Turkish clubs, Türkiyemspor Berlin and AK Berliner 07, a Jewish club, TuS Makkabi Berlin, a Polish club, FC Polonia Berlin, and a Croatian club, SD Croatia Berlin. Although some of these were founded nearly a hundred years ago, they add to the new face of Berlin, defined by cohesive diverse ethnicities of a once broken city. The football culture in Berlin is like no other city in the world, seemingly divided and united at the same time, where there are things more important than red versus blue. It’s not everywhere that the games of a cross-city rivalry can be counted on one hand, but this is the uniqueness of Berlin. No city has been so torn apart in the 20th century. It was a damaged place, whose football teams never had the chance to flourish like they should have. Now they have recovered and are in the strongest position they’ve ever been. Hertha last year qualified for the Europa League and Union finished fourth in the 2. Bundesliga, their highest ever league position. While Hertha and Union’s friendship during the Wall is well documented, the future might hold a different type of derby, where the traditional divisions of left and right come back into play. Berlin might soon have its big derby as it looks to put the city firmly on the map in the footballing world. It feels as if Berlin was often used as a plaything by tyrannical men in suits waving a different colour flag, wanting a bigger piece of a cake that didn’t belong to them to assert their dominance on a war that no one really wanted to fight. It’s always the people of the city who have suffered, been beaten down, hounded, banished and evicted, thrown around like a child’s toy. It wasn’t enough for the Soviets that there were boundaries in place throughout the cities. They needed a permanent, immovable obstruction to alter a city and country’s history forever and to cage in the citizens they felt were theirs – those innocent citizens who were denied their city, and often their team, for a quarter of a century. It’s impossible for this immense turmoil not to affect the entire psyche of a city’s population. 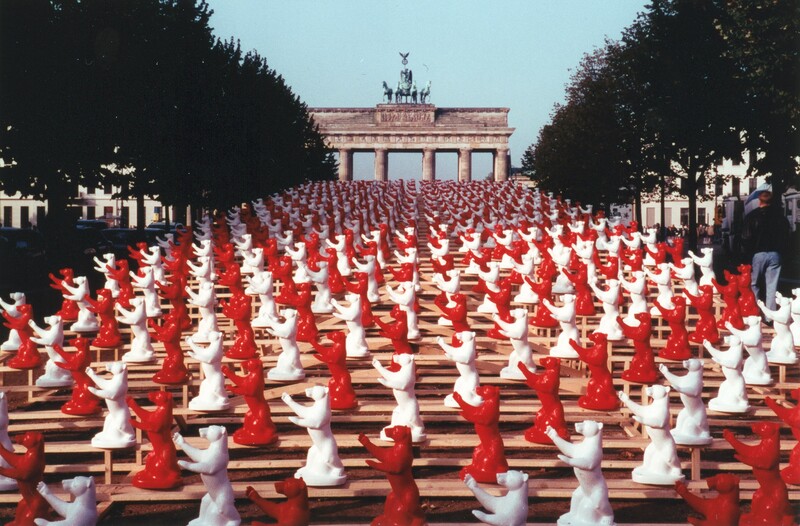 Berliners are now a collective, a community that does everything to unite itself and to come together as a city. Whether it’s Union or Hertha, people seem to define themselves first through their city, and then through their team. Berlin comes first; your colours come second.